The Charms of Chorizo....Everything you ever wanted to Know! Whether you pronounce it phonetically (chorizo) or authentically (chor-ee-tho), there’s no mistaking the uniquely Spanish flavour that this spiced sausage lends a dish. 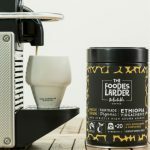 An ingredient, which had barely been heard of in Britain ten years ago, has rapidly become one of the nation’s staples. Sliced in a sandwich, slow-cooked in stews, used to garnish soups, or pep up pasta, Olive magazine found that 42% of the UK population couldn’t live without Spain’s famous export. So what exactly is Chorizo? Chorizo is made from coarsely chopped pork, with spicy infusions of chilli and smoked paprika. It’s the paprika (pimentón) that lends chorizo its distinctive smoky flavour and red colour, which then leeches out into any dish starring the ingredient. 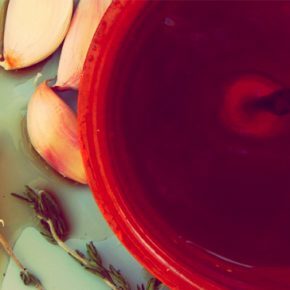 While the basic recipe remains the same, there are literally hundreds of regional varieties throughout Spain, using flavoursome additions like garlic, herbs, pepper, wine and sherry. Each region has its own preferred way of preparing the meat, and the different shapes the chorizos come in are as much a part of the area’s signature as the ingredients. Long, thin, straight sausages are called ‘vela’, smaller sausages strung together are known as ‘ristra’, and the traditional U-shaped bundles are ‘sarta’. Although you can find chorizo made from other varieties of meat, such as wild boar, perhaps Spain’s most famous chorizo is Chorizo Iberíco, made from the highly prized meat of Iberian pigs. These free-range pigs roam specially farmed oak forests, and feast almost exclusively on acorns or bellotas. The natural oils in the acorns give the meat a richer flavour than that of farmed pigs, and the meat is marbled with tell-tale pork fat. In fact, it’s their free-range diet consisting of acorns and grasses, that helps produce this exquisitely textured and flavoured meat that is rich with nutty aromas. The other important ingredient when it comes to chorizo is the pimentón and particularly ensuring that it is paprika from the La Vera in the province of Cáceres. Pimentón de La Vera has a distinct smoky flavour and aroma as it smoked dried, typically using oak. The air-dried variety can be thinly sliced (or bought ready sliced) and enjoyed as tapas, eaten like salami. Chorizo made with fresh meat must be cooked before eating. Don’t forget to peel off the outer wrapping, or ‘skin’, before you fry, grill, or roast the slices of sausage. Some of the best-known Ibérico Pork Chorizos come from the town of Guijuelo, in Salamanca in the region of Castile-Leon that borders La Rioja, a region known around the world for it’s stunning wines. Indeed Cune’s Rioja Imperial Gran Reserva 2004 was WineSpectator’s No 1 wine in 2013 based on their criteria of quality, value, availability and excitement. In this region they naturally cure Chorizo Ibérico de Bellota (acorn-fed Ibérico pigs) in the area’s cold, dry winter climate. As well as environment, climate is of course another factor that influences the flavour, texture and aromas of different varieties of chorizo. It’s then these two things when combined with age-old artisanal traditions and certain local ingredients, that determine the quality of the chorizo. 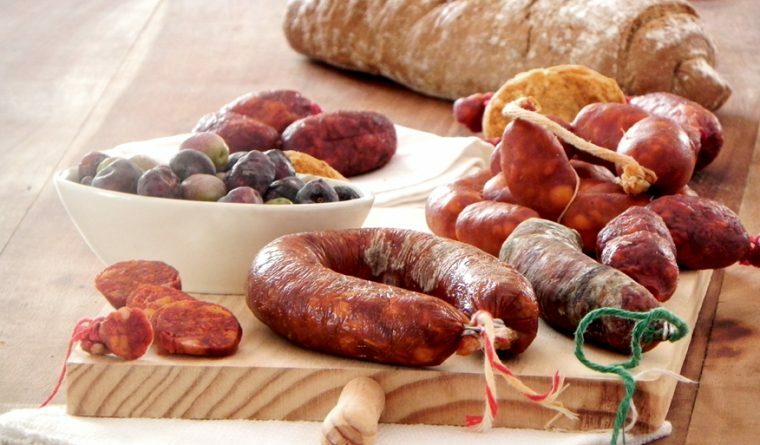 Some chorizos made in traditional ways and with specific local ingredients even have Protected Designation of Origin (PDO). One such example is a chorizo made by Martínez Somalo, a fresh Chorizo made with Red Wine from La Rioja. 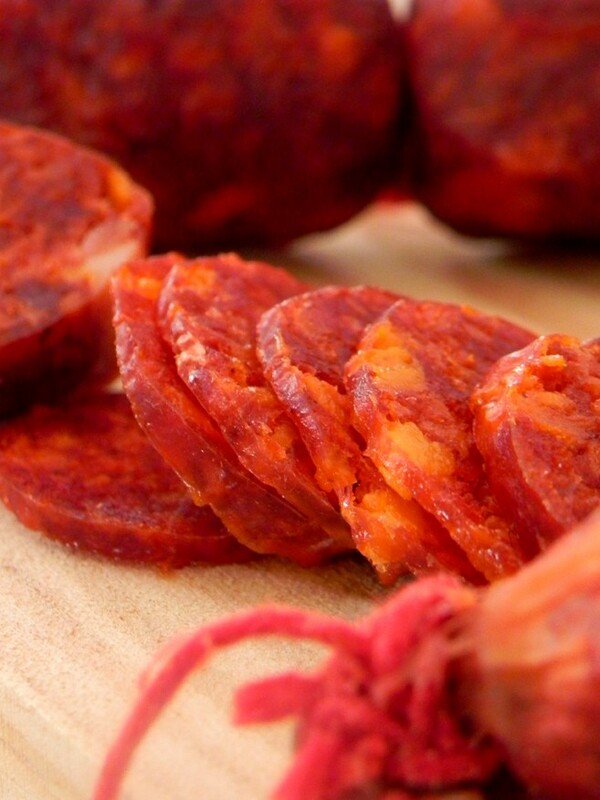 This delicious cooking chorizo is the first to be made with wine in Spain. Made to a simple recipe, the seasoned pork meat is steeped in red wine to give an amazingly flavoursome sausage. Chorizos are regularly shaped and cylindrical in shape and look like big sausages. They should have a firm and compact consistency and will have that characteristic chorizo aroma and taste, due to the various spices they are made with, especially pimentón and garlic, as well as to the curing process. During the curing, the sausages are hung close together on the ceiling of a large, low-lit room. The tiles of the roof are spaced so that tiny bits of light can break through the cracks. There are screens on the windows but no glass. When it is hot and dry, the windows are closed, and burlap mats are soaked in water and laid on the floor of the curing rooms. When it is cold, the shutters are closed. In the centre of the room, low barrels with a smouldering oak chips sits at all times. The air is dense and moist, and all you hear is the crackle of the wood. The barrels are moved and the chorizo are rearranged throughout the curing progresses. It takes a few weeks to cure chorizo and sometimes up to four months, depending on the size and the time of year. During that time, the meat dries and absorbs the smoke — smoke from the very wood whose fruit flavours the meat – bellotas! Pimentón has been in Spain since the 1500’s. Although also used extensively in many Central European countries, it didn’t actually become popular in places like Hungary, until the late 19th century. Prior to paprika’s arrival in Spain, all embutitodos (cured meats) where white or black depending on whether any blood had been added to the mixture. Pimentón was first made by the monks at the Monastery of Guadalupe using peppers brought back by Christopher Columbus and the conquistadors from the New World. One of the finest types of pimentón used in chorizo comes from PDO Pimentón de la Vera in Extremadura. 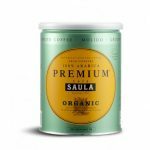 It can be sweet, spicy or smoked, each variant imparting a distinctive aroma. There are also several producers so there’s also plenty of different ones to try! What can I do with Chorizo? Chorizo is an incredibly versatile ingredient. Cured and sliced, it makes a spicy alternative to salami in a sandwich or served as an appetiser, alongside other tapas-style delicacies such as olives, manchego cheese, and stuffed peppers. Fresh chorizo is best fried or grilled, and can liven up a salad, add a kick to an omelette, lend a casserole its smoky depth, or star in a risotto. Partnered with white fish, meat or vegetables, its rich, spicy flavour infuses any dish with Spanish pizazz. It’s no wonder chorizo is so beloved of celebrity chefs (Jamie Oliver – Chicken, Chorizo and Rosemary Risotto with Roasted Balsamic Baby Tomatoes), Nigella Lawson, and even the quintessentially British cook, Delia Smith all have numerous recipes starring the Spanish sausage). In Spain, of course, they’ve long known its universal appeal and it can be found everywhere from the humble neighbourhood tavern to the country’s finest restaurants. It’s a great ingredient to have on standby, for a quick, flavoursome, mid-week supper, as well as a star ingredient when entertaining. Keep a stash in the fridge and you’re never more than a few minutes away from a Spanish taste sensation. Uncooked chorizo is softer to the touch than cured ready to eat chorizo, and when cooked releases a delicious spicy red oil. Indeed, often recipes using chorizo do not call for additional oil to be added to the pan since it provides so much of its own. There’s so many ways you can enjoy Chorizo that even though we promised this would be ‘everything you ever wanted to know‘ we couldn’t possibly list all the delicious recipes and dishes you could make with it. We have however, in Foodies Larder fashion, done a bit of curation and picked some of our favourites and the most fun to try. Patatas a la Riojana – Made from potatoes, onions, garlic and chorizo, this hearty dish from the area of La Rioja is simple but still very special. Indeed, celebrated chef Paul Bocuse known as one of the godfathers of nouvelle cuisine, famously described it as ‘one of the greatest dishes created by man’, whilst stating that ‘it should represent Spain all over the world’. Huevos or Eggs a la Flamenca – This is a typical Andalusian dish that, as with so many Spanish dishes, has many different variations depending on the area of Spain you are in. However the key ingredients are peppers, tomatoes, onions, aubergines, potatoes and chorizo and you even get an egg on top! Bollos Preñaos: Chorizo stuffed Bread Rolls – A delicious and simple dish, Bollos Preñaos or chorizo stuffed bread buns are famous all over Spain. Some of the most famous come from Asturias where they traditionally make them with chorizo a la sidra, or chorizo with cider. Avocado Baked with an Egg and Chorizo – This is a great weekend brunch option, but could also be enjoyed as a lovely weeknight dinner. Beef & Chorizo Burgers – Why not mix up your burger experience and try a bit of Spanish fusion with some added chunks of Chorizo? Tortilla Espanola – Available in almost any tapas bar around Spain this tapas favourite has many variations. Stuffed in peppers or even with slices of chorizo. 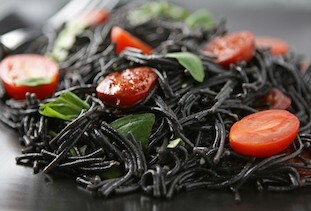 Black Squid Ink Pasta with Chorizo & Basil – If you want to get a bit more fancy then this is a great dish. Developed by Jeanne Horak Druiff from Cooksister with some Black Squid Ink Pasta we sent her, it’s a an impressive dish, yet comfortingly easy to prepare. Mussels with Chorizo – If you fancy trying your chorizo with seafood then here is a great dish for you to try. This recipe by the BBQ Pit Boys is quite fun as they do it on their grill in the countryside. If you want to tweak it a little, we would suggest substituting olive oil for the butter! Grilled Mackerel with Potato and Chorizo Hash – Another seafood and chorizo dish, this recipe by Delicious is a good one to follow and mackerel or sardines work so well when paired with chorizo. 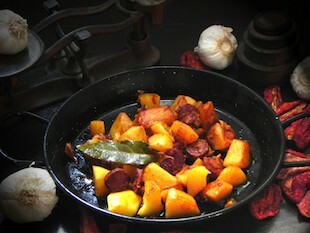 Chorizo al Infierno – And to finish off our Top 10 , a really fun way to get your Chorizo fix. Chorizo al Infierno or Flaming Chorizo is just cooking chorizo flamed grilled with alcohol, usually a local brew made with a locally grown crop such as Madroños. Madroños are a berry native to the Mediterranean that are often used to make local ‘moonshine‘ as this American chef discovered when he visited a local town on the borders of Spain and Portugal. What’s the best way to store Chorizo? Finally, if you do have any left after you’ve tried some of those dishes, it’s important to remember to store your chorizo in the best way so when you come to use it again it’s still in the best possible condition. The first thing to keep in mind is that chorizo is a cured meat product. 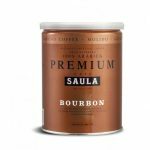 During the curing process, meat is either salted or smoked and dried in a controlled environment. This curing process effectively alters the properties of the meat and allows it to be eaten without cooking. The length of time that a particular chorizo might have spent curing varies from place to place and depending on the type of chorizo. A fresh chorizo may only have been cured for a few days whereas a cured chorizo may have spent a few months being treated. The reason this is important, is that how you should store your chorizo will depend on what type of chorizo you’ve got. Fresh chorizo will start to lose moisture and dry as soon as you open the packaging. However this will take time so it will still generally be good to cook with for a few weeks. Although it might sound strange, a fridge is not actually ideally suited for keeping cured meats. The environment tends to be quite humid which can mean mould can develop on the skin of chorizo. This isn’t a problem though as you can easily wipe this off and you’ll be removing the skin in any case. Fresh Chorizo: If you want to keep fresh chorizo as fresh and as soft as possible then place it in a sealed tupperware container in the fridge. It will start to dry as soon as you get it out of the packet but it will be good to cook with for several weeks. Cured Chorizo: A cured meat product will keep almost for ever in the right conditions. It will continue to dry out so will gradually get firmer and firmer. Ideally don’t keep these in the fridge or a sealed container. You need to allow it to air as much as possible. The ideal place of course is a cool, dry larder.